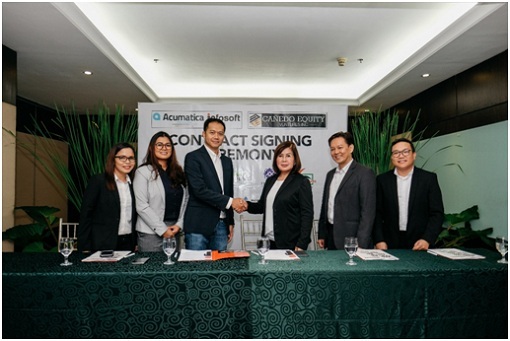 Cañedo Equity Ventures, Inc. (CEV) inked a deal with Cloud Enterprise Resource Planning (ERP) innovators Acumatica and Infosoft for its business system management. Eyeing more growth through technology, as manual work just does not work anymore. CEV COO Arturo C. Zamora said that tapping Infosoft's Acumatica system is one of the biggest projects embarked on by CEV when it comes to application of technology. In the photo (L-R): Jennifer Fronteras- Infosoft Sales Consultant (Vismin), Ivy T. Moll- Infosoft Director, Professional Services, Rodney Yap- Infosoft Director (Vismin Operations), Filomena S. Cañedo- CEV Chairwoman, Arturo C. Zamora- CEV Chief Operating Officer, and Chris Patong- CEV Sr. ICT Manager. CEV hopes that the project will really help them make their processes more efficient and effective and make the entire company a lot more productive than what it is now. And they're looking forward to an enduring and strong partnership with Infosoft and Acumatica. They are venturing into new businesses that include property management, utilities development and management, and technical vocational training and education, with an ever-expanding reach in its national operations. CEV group is poised to take on more growth, charting very ambitious undertakings until the Year 2028; riding on the robust economy, ample business opportunities, borderless economies, and leveraging on the strength and talent of its people and management. Infosoft and Acumatica welcomes and accepted the challenge posed by CEV. Infosoft VisMin Operation Director Rodney Yap said they are excited with the challenge presented. Both are also on an ambitious growth path thus they are also embarking on a highly collaborative effort as CEV group will be relying on them and vice versa. Infosoft holds half of the success, and the other half with CEV. Infosoft is blessed to deal with people who only want what is best for their companies, Yap added. Infosoft Chief Finance Officer of Joris Spanhoff said he feels confident that the partnership would be a success. He's confident that his team in VisMin is very strong with the guidance of Acumatica. A great challenge and opportunity for them for the success of both. He also congratulates CEV for the milestone. Acumatica Southeast Asia Regional General Manager Shine S. Mathew said that dedication and commitment of their team to learn the solutions and deliver creates trust on customers. Acumatica are with CEV and Infosoft throughout the project step by step. Acumatica Enterprise Resource Planning delivers adaptable cloud and mobile technology with a unique all-inclusive user licensing model, enabling a complete, real time view of one’s business anytime, anywhere. Through its worldwide network of partners, Acumatica provides the full suite of integrated business management applications, including Financials, Distribution, Manufacturing, Project Accounting, Field Service, Commerce Edition, Construction Edition, and CRM. It will be initially implemented in the real estate arm of CEV, Philippine Paramount Property Ventures Inc. (PPPVI) and its mining company Frasec Ventures Corporation. 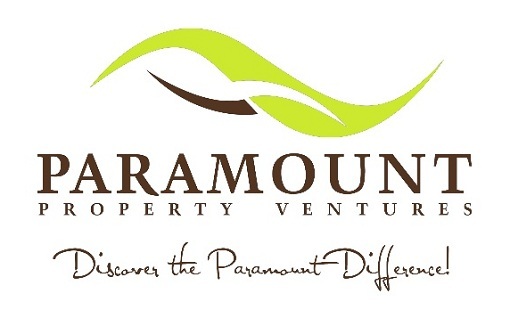 PPPVI aims to develop exceptional communities while upholding its commitment to its growing clientele. Frasec Ventures Corp. (FVC), Celestial Meadows Developers Corp. (CMDC), Philippine Paramount Property Ventures, Inc. (PPPVI), LA Cresta Homes, Inc., Technical Vocational Center of Cebu (TVCC), Formobilt Corporation, GoldCoast Property Management, and Pacific Utilities & Resources, Inc. (PURI) are subsidiaries of CEV. 0 comments: on "Canedo Equity Ventures eyes more Growth, embraces Cloud ERP Tech"